The workplace is constantly evolving with new concepts, processes and technologies year after year. Many such changes including remote work, open offices, free lunch etc are all charted towards the same goal: Improving work and business productivity. The most effective and proven method of increasing work and overall business productivity is the Cloud Workspace. The Cloud is the most efficient way of making your business innovative and keeping it organized to bring strong results. 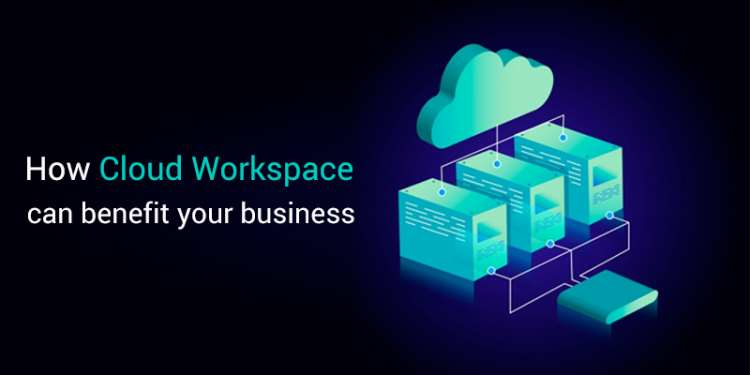 Recent surveys reveal that 51% of cloud workspace users reported higher revenue growth rates over their competitors and 79% of cloud workspace users saved money, increased productivity and had better security. For the modern CIO, using technology to help improve employee work levels is par for the course, and an effective cloud model can help make it happen. Here are 11 ways the cloud enables you to create a more productive workplace for your employees. In the past, only the IT industry was expected to stay agile, nimble and shift seamlessly according to the market trends. But today, all industries are expected to stay agile if they want to keep pace with the changing market trends. Only the Cloud offers this kind of agility to companies who want to stay ahead of the curve. The ability to deploy resources according to the business needs and monitor work is a huge benefit for organizations. All this is possible only with the adoption of the Cloud-based platform or workspace. With cloud-based platforms for e-sourcing/freelancing, businesses can focus on their core functional areas while outsourcing the non-core yet critical functional areas. Not only does the cloud reduce the company’s workload, but it also reduces costs, allowing more budget to go to further services and tools that can further improve business productivity. In addition, hybrid cloud-based platforms like Vulpith allows organizations to constantly deploy the same services, over and over, with the same strong results each time, allowing a more predictable workflow for businesses who use these services. Time is money in business. When it takes too long to complete simple tasks, businesses stand to lose heavily. Hybrid cloud-based platforms like Vulpith offers strong project management, team collaboration, project tracking, and other tools which helps to focus and cut down on the time taken to complete projects. The cloud makes protecting confidential business data possible with a safe backup always within reach, in case disaster strikes. Downtime is a major cause for business inefficiency, and ensuring work continuity with a Disaster Recovery plan via the cloud is an excellent solution. Vulpith’s hybrid cloud-based platform adopts a multi-cloud approach with backups and offsite data stored on multiple clouds which reduce your business downtime to seconds or minutes. Business continuity is not only a business enabler but also a productivity enabler. Vulpith’s hybrid cloud-based platform helps keep your business going even when disaster strikes. 74% of organizations reported that the cloud has given them a competitive advantage according to a Harvard Business Review study. The ability to create and deliver easier, cheaper, faster, and better quality results is a major business advantage. When talent resources are optimized and productive than before, it directly helps the business’ bottom line, in the short and long run. The cloud workspace enables the talent resources to work with the mantra “Work smart, not hard”. The results will be visible in both your business’ bottom line and overall growth.